My expertise lies in the physiological impacts of animal welfare challenges, with a particular focus on how we feed animals in captivity. My research spans farm, companion and exotic species. With a focus on animal nutrition I have explored topics such as calcium homeostasis in dairy cattle and factors affecting feed selection. Most recently I have been undertaking several projects exploring the specific details surrounding how we feed rabbits and guinea pigs in captivity and how this affects their dental health as well as exploring dental health and diet links in dogs. 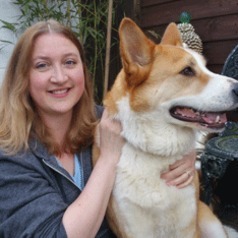 I am also involved in research projects related to several aspects of animal behaviour such as personality (and how this affects animal welfare), social interactions, animal cognition, enclosure usage and assessments of stress, and have explored aspects of human-animal interactions such as attachment to pets and animal hoarding.